Are you tired of having so many of your hotel bookings going through the OTAs instead of coming directly to you? Wish you had a way to avoid the fees and generate more direct bookings for your hotel? You’re not alone – the push to increase direct bookings has become the top priority for hotel owners around the world this year. Now that Priceline, Travelocity, Expedia, and the other large OTAs have taken over the top results in hotel-related keyword searches, hotel owners are seeing an ever-higher percentage of their direct sales going through these third-party sellers. That’s not just making it hard for hotels to build customer loyalty; because of the high fees these third-party sellers charge, this shift in hotel booking methods is negatively affecting hotels’ profitability. 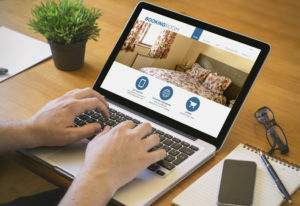 To help you cope with this issue, Travel Tech Strategies can recommend some hotel marketing strategies that will boost bookings and help you recapture your market share. Since the majority of travelers now use mobile devices during their trip planning process, your hotel should choose a mobile-friendly website that features an easy to use booking engine. Opt for a responsive hotel website design that works well with all mobile devices to cater to on-the-go travelers. When it comes to lead generation for hotels, branded mobile hotel apps are proving to be some of the most effective online marketing strategies around. On top of building your brand, you can use your app to offer guaranteed low rates to travelers who book directly through the portal. Pack in customer-pleasing features like a simple mobile booking engine, member-only discounts, and virtual concierge features to attract a host of loyal fans. If you are one of the hotel owners who have signed a restrictive rate parity agreement with the OTAs, don’t worry – you can still attract travelers back to booking directly with you by offering a low booking rate exclusively to your loyalty club members. Most rate parity agreements restrict publicly offered rates, but you can still offer a lowest rate as a loyalty club reward. Follow this up with other member-only perks such as free WI-FI, continental breakfasts, and late check-out times to ensure travelers will be eagerly looking to directly book their stay. To really boost bookings, publicize all your hotel has to offer with a dynamic social media campaign. Pull out all the stops in your hotel marketing campaign – incorporate video clips in your social media posts, coordinate with carefully targeted Facebook Ads and Sponsored Stories to engage travelers, and send out Tweets with intriguing snippets about the perks that come with directly booking with your hotel. Travel Tech Strategies can provide your hotel with everything you need to increase direct bookings and take back your brand. We can help you incorporate the full range of hotel marketing strategies, with lead generation services that include a responsive hotel website, branded mobile hotel app, SEO strategies, monthly hotel social media marketing packages, and more. Contact us at Travel Tech Strategies today at 954-779-2801 for hotel marketing strategies that will help you boost bookings and take back your brand!